The IRS provides extensive and useful information at its IRS.gov website to help educate staff and Boards on the requirements and pitfalls of starting, maintaining and running a tax exempt organization. The following excerpt is a good primer or refresher. You will find this article, among others, on the IRS website under EO (exempt organizations). The links will move you to publications that provide more in-depth information. Remember all tax exempt organizations must file a 990 annually even if it is just a post card form to say that our revenues were less than $50,000. Failure to do so will result in loss of tax exempt status if not filed for 3 consecutive years. Filings are due on the 15th of the 5thmonth following the end of the fiscal year. Application Process Step by Step: Questions and answers that will help an organization determine if it is eligible to apply for recognition of exemption from federal income taxation under IRC section 501(a) and, if so, how to proceed. 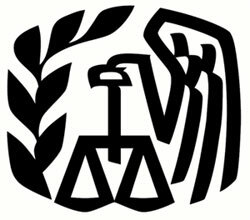 Tax-Exempt Status – online training available at the IRS microsite StayExempt.irs.gov.